Seattle-headquartered Alaska Airlines has announced new flights between Portland, Oregon (PDX) and Newark, New Jersey’s Liberty International Airport (EWR) and will begin new service from Bellingham, Washington International Airport (BLI) to Kona, Hawaii (KOA). The new flight to New Jersey, inaugurated on Nov. 10, is the airline's first nonstop flight between PDX and the New York City area. "Our new flight offers Portland-area customers convenient access to Northern New Jersey and lower Manhattan, and is the only daytime nonstop flight from Portland to Newark," John Kirby, Alaska Airlines' vice president of capacity planning, noted in a statement. Eastbound flights will depart PDX at 6:55 a.m. daily, arriving at EWR at 2:55 p.m., local time. Westbound flights will depart New Jersey at 3:55 p.m., arriving in Portland at 7:05 p.m.
Later this year, the carrier will add four more daily flights from the West Coast to EWR. Service between San Diego’s Lindberg Field (SAN) and EWR will commence later in November, while new service between New Jersey and San Jose, California’s Noman Y. Mineta Airport (SJC) and a third daily flight between Newark and Seattle-Tacoma International Airport (SEA) will begin in spring 2017. For recommendations about how to find dining deals in The Big Apple, read TheTravelPro’s article about the 365 Guide, New York City. Travelers not ultimately bound for New York City can find a fair bit to see and do in New Jersey, as detailed here. On Nov. 12, the carrier will launch weekly, seasonal flights from BLI to KOA, giving customers in northwest Washington state and British Columbia, Canada, convenient, non-stop access to The Big Island and its beaches, the world’s most active volcanoes and “the best poke in the Islands,” the carrier said. Kona-bound flights will leave BLI on Saturdays at 8L20 a.m., arriving in Hawaii at 12:55 p.m., local time. Return flights will leave KOA at 12:55 p.m. and arrive in Bellingham at 8:57 p.m. Flights will operate through April 2, 2017. Alaska will operate the new flights with fuel-efficient, next generation Boeing (NYSE:BA) 737 aircraft. Customers will have access to free entertainment on their own devices and power at every seat, as well as Northwest-inspired food and beverages, such as Beecher's Flagship cheese, and exclusively blended Canoe Ridge wine. 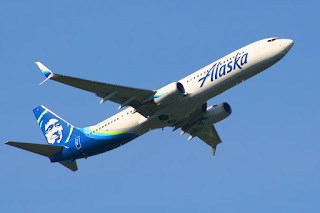 Alaska Airlines is a subsidiary of Alaska Air Group (NYSE: ALK).